Alongside a wide range of Italian, Scandinavian and other European manufacturers, we work closely with manufactures here in the UK to bring a selection modern British designer furniture for commercial interiors. 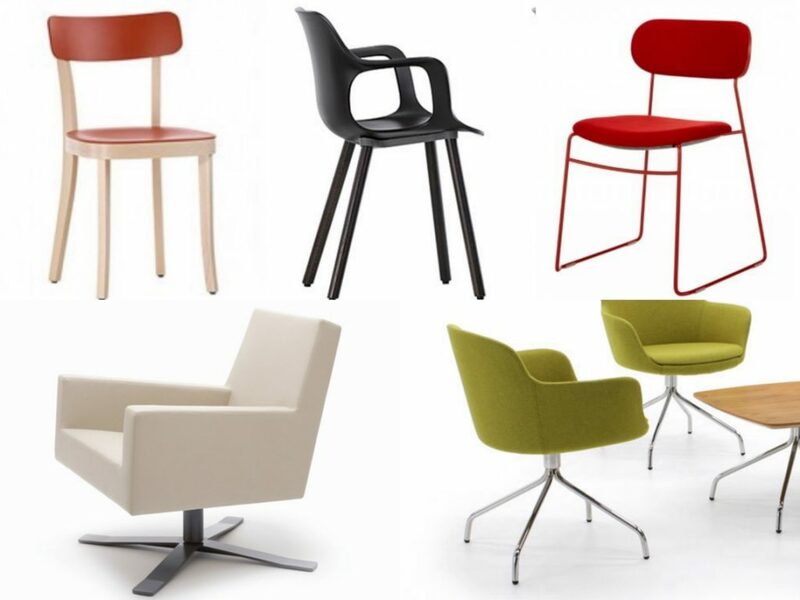 Each of the products we select, from reception seating, meeting chairs to café chairs, represents high quality design and an unmatched level of manufacturing standard. 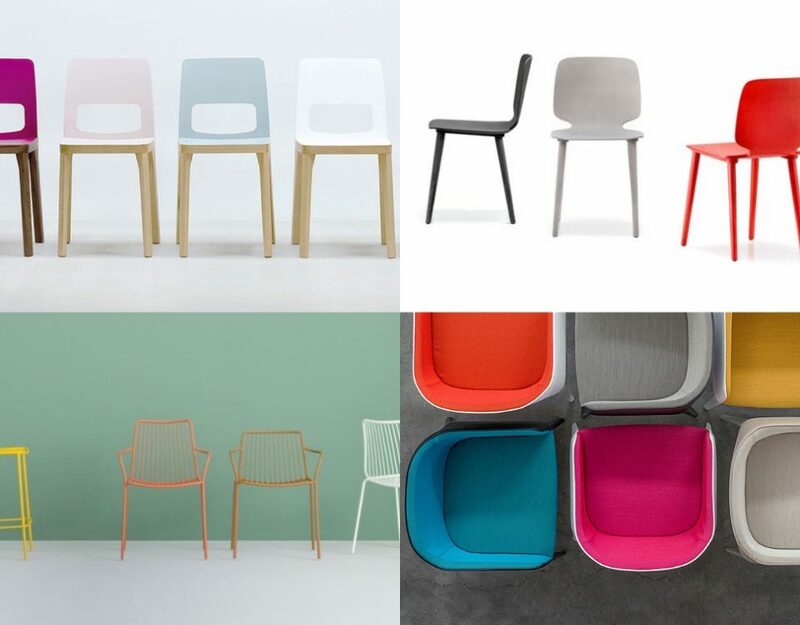 From the wide array of seating products in the workplace, education and café/restaurant ranges, we have selected five seating ranges by leading British designers to help inspire your next project. On first glance, the Basel is a traditional wooden chair, with a simple and modest frame. 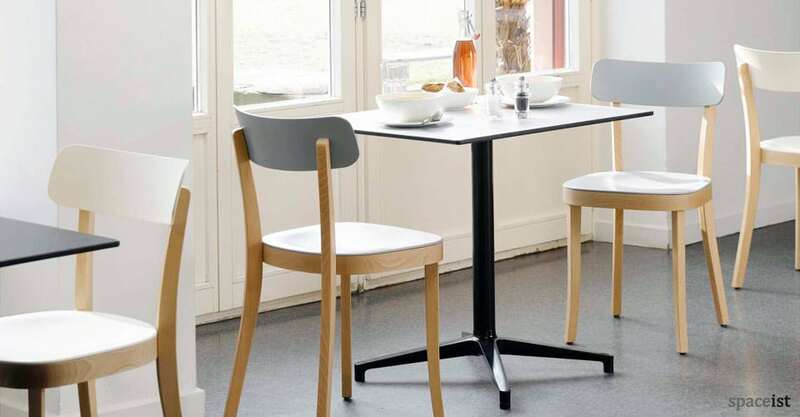 Taking the classical form and design of a simple wooden chair, designer Jasper Morrison has brought a much more refined and balanced version of the generally mass produced wooden chair for use in cafés and restaurants. First designed in 2008, this classical form features a more modern element, bringing it up to touch and ideal for numerous uses. From afar it may look like a simple wood chair, however on closer inspection, various detailed features can be seen. The seat and back rest are composed of a robust plastic, moulded into a curved form for enhanced comfort. The use of plastic instead of wood for the seat and backrest allows a more slimmer form that gives the Basel its modern characteristics and a lightweight composition. For further enhancements, a range of shades can be selected from bright to more muted colours to create a matching seating style. The PLC chair is part of the highly popular PLC timber chair range designed by PearsonLloyd, the London based design studio headed by Luke Pearson and Tom Lloyd. 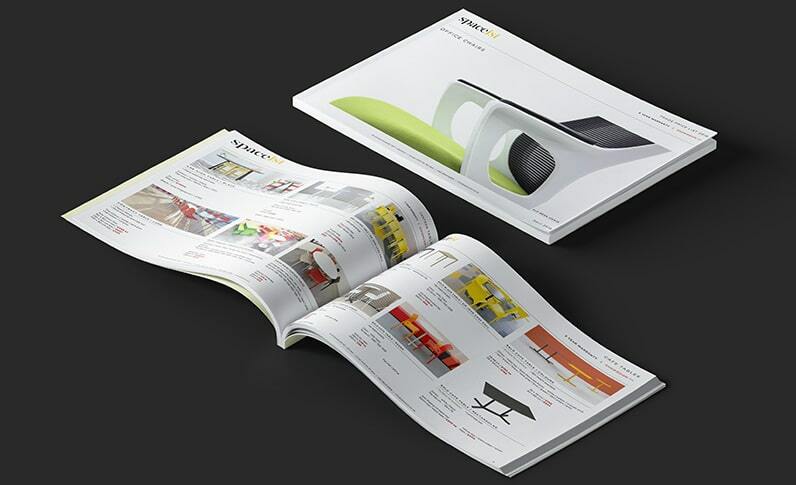 Presenting a mature understanding of how products work in their environments and the way people use them, the studio has become a leader in innovative and award winning design. The PLC wire chair is the result of an uncomplicated and humble approach at redefining a modern classic. 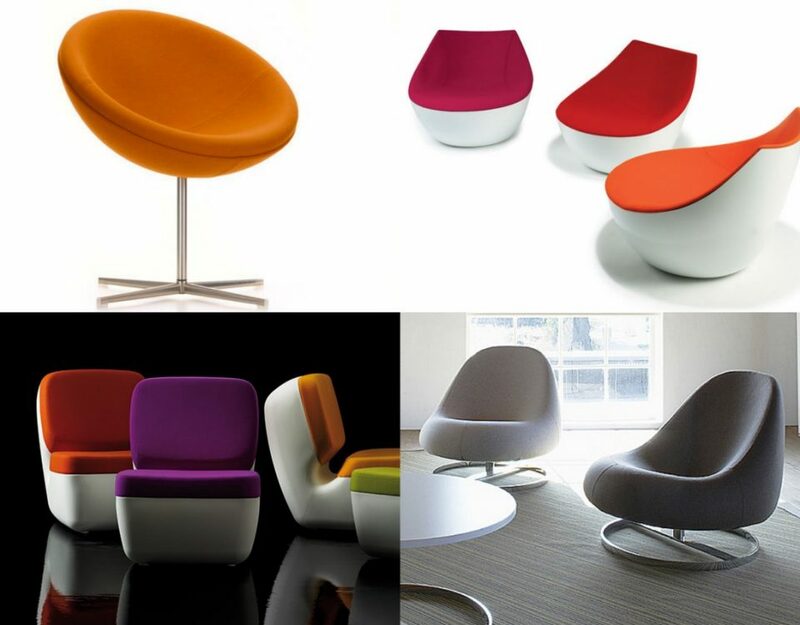 The wire version of the PLC maintains the angular shape and curved seat design with minimal appeal. 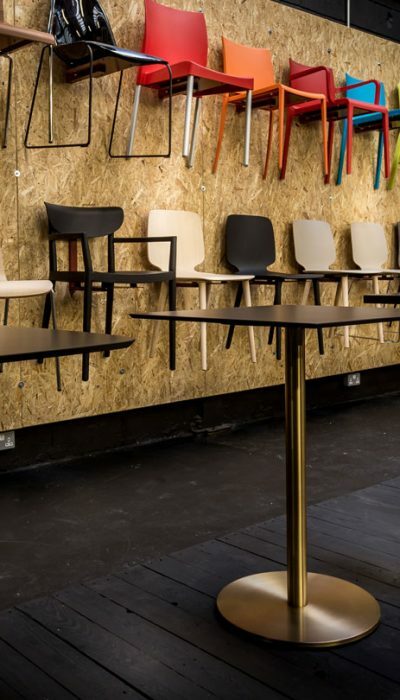 Manufactured from steel rod that comes with a range of powder-coating colours or a chrome finish option, the seat and back rest can also be customised to match accordingly. 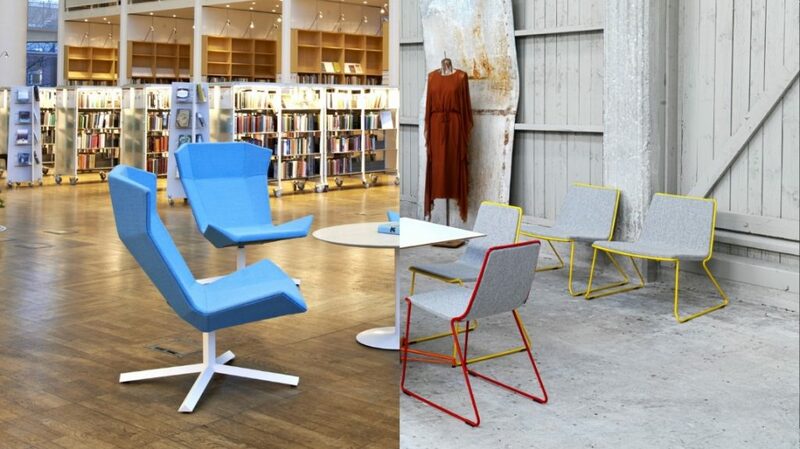 The chair can be stacked and comes with or without armrests. 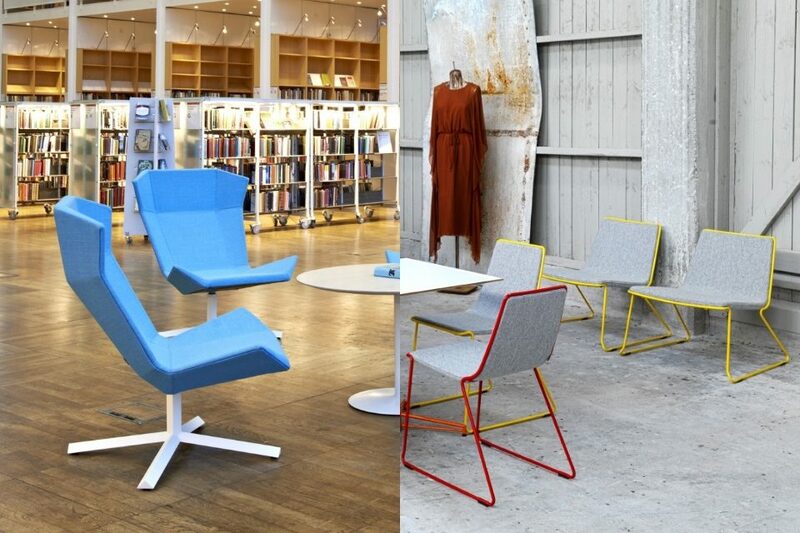 A chair that adopts to its surroundings with just a few elemental changes, the 44 chair range is an impressive example of modern British design at its best. 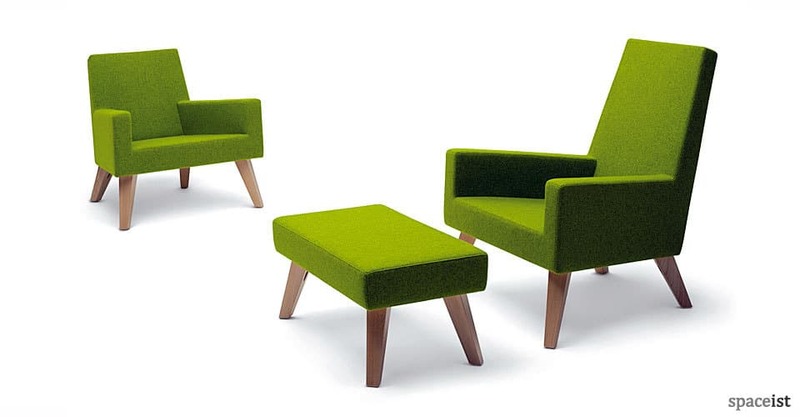 Designed in 2003, Alexander Taylor formed the 44 range to include an arm chair and foot stool combination that could be interpreted for the space it applied to; from reception areas to hotel lobbies, in the workplace or an educational space. The dynamic form is made from a solid beech frame covered with CMHR graded foam. The chair comes with an elasticated motion seat and a suspension on the back rest, adding a high level of comfort for the user. For a classic look, choose the wooden leg base, or for an upgraded look, a swivel base is also available. The soft touch upholstery is of a high grade and can be customised as per each design brief, with a wide range of colour choices. With a hint of retro style inspired by the 50/60’s together with modern features, the Danny chair emphasises the importance of choosing furnishings that will enhance the wellbeing of its users and add to a modern and forward looking interior. Designed and manufactured in the UK, the Danny chair is made of a medium back tub chair shape that provides sufficient support for the user. Made from a wider seat shape, the padded seat and backrest includes integrated arm rests for a high level of comfort when used for a longer period. To allow brand matching, over a 100 fabric shades are available to select from. The slimline base adds a modern touch, with either a swivel or four leg star base option available. 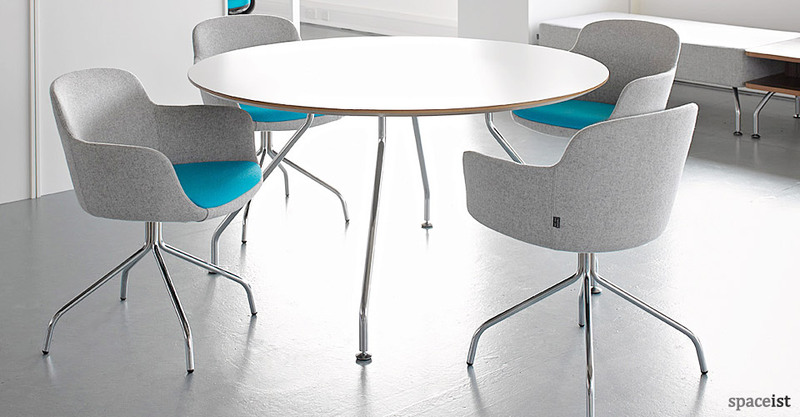 With its elegant demure, Danny chair is ideal for breakout areas and meeting rooms. Jasper Morrison and his work have played a key role in the development of British product design since he first opened his design studio nearly 30 years ago. By creating products that seem simple enough yet highly unique is a key signature characteristic of his works, as presented with the Hal chair range. 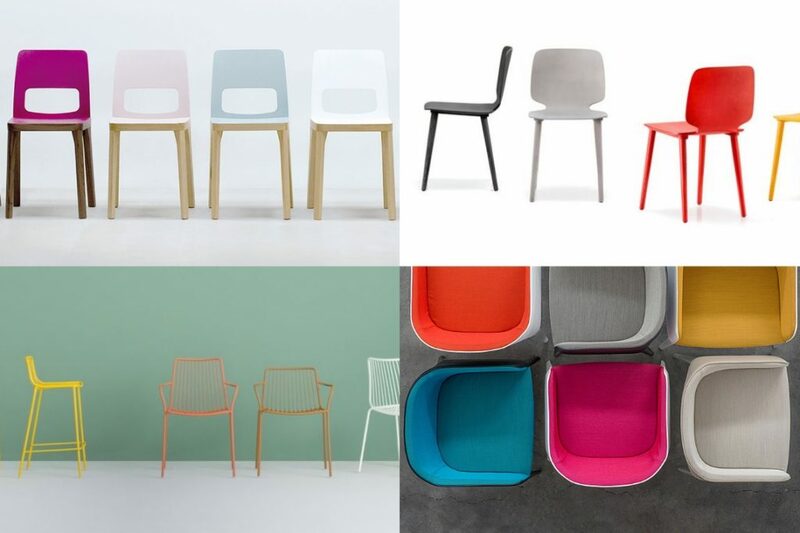 Taking the elements of a shell chair with a refined and keen eye, the Hal chair offers its user a modest and contemporary seating choice that has been made for daily use. The main element is created from an organic shape, forming the single seat and backrest with integrated armrests. This shape allows heightened comfort for the user, who would feel supported by the soft plastic curves. Alongside a chrome base version that is stackable, the elegant wooden leg base adds a contrast to the overall appearance of the chair giving it a warmer appeal for interior use. 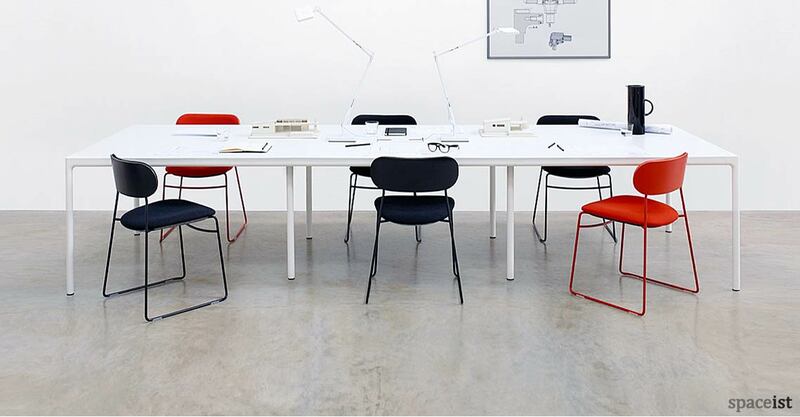 From black and white to orange and ice grey, the chair can be customised according to its application, with a swivel base option also available for use in the workplace.